In June 1967, Ralph Baer received permission from the leadership of Sanders Associates to complete his TV game prototype and bring it to market. While this represented a significant milestone for Baer, however, there was still a great deal of work to be done. At this point in his life, Baer was not a particularly accomplished game designer, and he felt his prototype did not offer the level of entertainment value necessary to justify its price. Development on the project almost stalled completely until the addition of a new team member that lobbied for generating a third dot on the television screen, which finally led to the addictive game the system needed. Even after the team overcame all the design hurdles, however, there was still the matter of introducing the system to the general public. As a defense contractor, Sanders did not have any of the retail experience or clout necessary to produce a consumer product and would therefore need a partner to place Baer’s system on store shelves. After multiple deals fell through at the last minute, Baer finally enticed Magnavox to build his TV game, and the long journey that began on a bus terminal step in August 1966 ended in September 1972 with the debut of the first home video game system, the Magnavox Odyssey. As in the previous entry, there is little controversy regarding the design and development of Ralph Baer’s “Brown Box” prototype and its final incarnation, the Odyssey, due to Ralph Baer keeping meticulous records of the project and preserving them for posterity. There is, however, considerable confusion over the success — or lack thereof — of Odyssey in the marketplace. In this post, I will attempt to untangle the contradictory evidence of the Odyssey’s market performance and place it in the context of early video game history. In the aftermath of the successful demonstration of TV Game #2 to Royden Sanders and other company executives in late June 1967, Ralph Baer turned his attention toward refining his system into a viable commercial product. According to his autobiographical work, Videogames: In the Beginning, Baer hoped to create a relatively cheap game, setting a target price of $25.00 for the complete package. This meant refocusing the system around what Baer considered the best ideas he and Harrison had developed in order to reduce the part count. Harrison removed the pumping game mechanic, which despite being the first game implemented had never been particularly fun, as well as the specialized circuits that allowed for color graphics and the placement of additional dots on the screen through a random number generator. By August 1967, Harrison had completed his scaled-down version of the system, dubbed TV Game #3, which now only played chase and shooting games. Unfortunately, despite cutting as many corners as they possibly could, Baer and Harrison were unable to come near their target price: the system they built would have to sell for a minimum of $50.00 at retail. Baer felt his simple chase and light gun games did not provide nearly enough entertainment value to justify that price, so he put the color circuitry back into the system and tried to develop additional game concepts. When he proved unable to find a way to make the system more interesting, Campman, who sensed Baer had hit a wall in development, decided to loan Baer his former brainstorming partner, the creative engineer Bill Rusch. On August 18, 1967, Rusch formally became the third member of the Sanders TV game team. According to Videogames: In the Beginning, Harrison and Rusch spent October 1967 making the new three spot system a reality, which became TV Game #4. While Harrison built the new system, Rusch spent the majority of his time designing advanced circuits that would allow for the generation of round spots instead of squares and allow the speed and direction of the ball spot to vary based on the velocity of the impact with a player-controlled spot. Ultimately, however, neither of these features were incorporated, the former because it remained buggy and the latter because Baer felt they did not have time to complete it. This led to considerable friction between Baer and Rusch, who did not appreciate Baer telling him what could and could not be incorporated into the system. Nevertheless, by November 1967 the team had a video game unit that could play ping pong, chase, and shooting games with three controllers: a light gun for target shooting, joysticks for the chase game, and a three dial control for ping pong that controlled the horizontal and vertical movement of the player’s paddle and allowed the player to manipulate the ball to put a little “English” on it. After another demo for Campman, the R&D director concurred with Baer that the system finally contained enough interesting gameplay variants to be worth selling, so Baer turned his attention to finding a retail partner. Baer turned first to the fledgling cable industry. At the time, there were no dedicated cable channels, so cable TV was basically just an expensive way to receive the exact same channels that a person could already get for free over the air. While cable eliminated the need to adjust antenna to improve the quality of a broadcast signal, unless a person lived in the mountains or in a similar environment where reception was exceptionally poor, this convenience did not justify the cost. As a result, the cable industry was struggling, and Baer felt that a novel product like a TV game could be just the thing for the industry to break out of its slump. He therefore had Harrison modify the game so that it could accept background graphics transmitted by a cable signal and contacted the largest cable provider, TelePrompter, which supplied roughly 60,000 subscribers at that time. The idea was that the cable company could point a camera at a highly detailed view of a tennis court or some other venue which would be broadcast to the TV game to provide a background for the action. The spots generated by the hardware would then be superimposed on top. TelePrompter expressed interest, and negotiations proceeded on and off between January and April 1968. While the cable company thought the game a good idea, however, an economic recession ultimately left it in an untenable financial situation, and it could not afford to develop the product. Baer would need to find another partner. In December 1967 and January 1968, Harrison continued to work on improving the TV game, incorporating some of the velocity circuitry designed by Rusch and re-implementing the light pen quiz game with a new light gun peripheral that would allow answers to be chosen from a distance. In this game, four answers would appear on the screen with dots next to them. The dots would all blink rapidly, with the dot next to the correct answer blinking in a different pattern than the others. This was all imperceptible to the naked eye, but the light pen would respond differently to the correct and incorrect dots in order to determine if the player answered correctly. Two new ball-and-paddle variants were created during this time period as well, handball and volleyball. In handball, the “net” was moved to one side of the screen and served as the wall of a handball court, while in volleyball, the centerline was modified to serve as a net. Otherwise, the gameplay remained the same as in the ping-pong game. Work on TV Game #5 ceased at the end of January when funding ran out. The same recession affecting TelePromper also hit Sanders hard, and the company scaled down from 11,000 employees to just 4,000 during this period. This marked the end of Bill Rusch’s short, but productive time on the project. In September 1968, Baer secured additional funding and brought back Bill Harrison to create another prototype, TV Game #6. The switches used to select different game modes in previous versions were replaced with a rotary dial, while the game also sported an improved light gun. Still feeling they could do a little better, Baer and Harrison developed one final prototype in January 1969, TV Game #7, which they also called the “Brown Box” because Harrison wrapped the casing in self-adhesive woodgrain to make it more attractive. This version also included an expanded set of games. In addition to Ping-Pong, Handball, Volleyball, Target Shooting, and the Checker chase game, there were now Hockey, Soccer, and Football variants of the ball and paddle game, which featured the same basic game play with different overlays, and a golf putting game with a new peripheral: a golf ball mounted on a joystick. The player would place the joystick on the floor and tap the ball with a putter, after which the spot representing the ball would move based on the contact with the joystick. If the ball hit the dot representing the hole, they both disappeared. A final attempt was made to add Rusch’s velocity circuit to this version as an add on, which was dubbed TV Game #8, but it was ultimately left out due to cost. By the end of 1968, Baer and Harrison had essentially finished the Brown Box, but they were no closer to selling it. Finally, the Sanders patent attorney, Lou Etlinger, provided the solution: approach the television manufacturers. These firms were already using the exact same components contained within the Brown Box in their TV sets, so ramping up manufacturing would be relatively simple. Additionally, the TV companies would most likely be interested in anything that could spur television sales. One by one, Etlinger invited some of the most prominent TV manufacturers — RCA, Zenith, Sylvania, General Electric, Motorola, Warwick, and Magnavox — to view the Brown Box in action. While many of these companies showed some interest, however, Baer and Etlinger were never able to close a deal. Warwick, the manufacturer of televisions sold by Sears, was impressed and told Sanders to contact the buyer at the department store, but the executive refused to sell the product in his stores, afraid parents would drop their kids off in the electronics department to play the games and transform Sears into a glorified babysitter. The General Electric engineers were likewise impressed and helped set up a meeting at the company’s small-color-set assembly facility in Virginia, but nothing ever came of it. The first company to view the system, RCA, ultimately proved the most enthusiastic. Coming to Nashua in January 1969, RCA liked the system so much that it started negotiating a licensing agreement with Sanders in the Spring. An agreement was hammered out after several months of negotiations, but Sanders ultimately backed out of the deal. Baer has never specified the exact reasons Sanders did not like the final agreement, only calling the terms “onerous,” but RCA probably either wanted to completely own the technology and the patents behind it or offered a paltry royalty deal. Sanders appeared out of options at this point, but luckily one of the RCA negotiators, Bill Enders, remained highly enthusiastic about the product, so when he left RCA to join Magnavox, he urged his new employer to take another look at the system. The Magnavox Corporation traces its history to a partnership formally established on March 1, 1911, called the Commercial Wireless and Development Company that brought together three individuals, Danish electrical engineer Peter Jensen, Stanford-trained electrical engineer Edwin Pridham, and San Francisco financier Richard O’Connor. According to The Early History of Magnavox by Billy Malone, Jensen, born in 1886, was a brilliant student forced to forego university and take a job at a sawmill upon the death of his father. The superintendent of the mill encouraged him to find a job more suited to his academic abilities, however, and in 1903 he was able to secure a position in the laboratory of Valdemar Poulsen, the Danish inventor of the Telegraphone, the first magnetic wire recording apparatus, the predecessor of magnetic tape recording. In this capacity, Jensen helped Poulson develop his continuous wave arc transmitter, one of the key technologies that allowed for practical radio broadcasting. In 1909, Jensen came to Palo Alto, California, which even before forming the heart of Silicon Valley was an important hub for wireless research, to grow the Poulsen Wireless and Telegraph Company, formed in October of that year in partnership with Stanford engineer Cyril Elwell and investor John Coburn. While at the company, Jensen met Pridham, a fellow employee originally hailing from Maywood, Illinois, who helped him learn English and assimilate into American culture. He was also introduced by Coburn to O’Conner, an investor in the new venture frustrated that he had no say in company affairs. Coburn proposed that O’Connor travel to Denmark to secure patent rights from Poulsen to start his own company and suggested Jensen resign his position and join the negotiating team. Jensen agreed on the condition that Pridham be allowed to join them as well. Although the Danish trip was unsuccessful, O’Connor pressed forward with his plan to establish the Commercial Wireless and Development Company with Jensen and Pridham in 1911. Once their new company was established, Jensen and Pridham turned their attention to developing a more sensitive telephone that could pick up signals transmitted from a greater distance. According to an article hosted on the website of the Audio Engineering Society entitled “Peter L. Jensen and the Magnavox Loudspeaker,”, the result of this research was an improved version of the Poulsen arc radio transmitter featuring thicker wires connected to a diaphragm and a coil of copper wire placed between magnets. Driving a current though the coil produces a magnetic field that causes the coil to move back and forth rapidly. This causes the coil to push against the diaphragm, thus converting the electrical signal into soundwaves. Per The Early History of Magnavox, this resulted in a telephone with much clearer sound, but AT&T chose not to adopt the “dynamic telephone” because they were already partnering with Lee DeForest to use his audion tube in their equipment, and the Jensen system was too large and bulky to be practical. In 1915, a blacksmith named Ray Galbreath visited Jensen’s lab. An avid baseball fan, he lamented that he often had difficulty hearing announcements made at the ballpark and thought the dynamic telephone could be used to amplify the announcer. This suggestion caused Jensen to shift his focus from improving the clarity of sound over a long distance to increasing the volume of sound over a shorter distance. After several months of work, Jensen publicly demonstrated the first loudspeaker public address system in San Francisco on December 10, 1915. He decided to name the system after the Latin term for “great voice,” Magnavox. In 1916, Jensen, hoping to find a mass market application for the new loudspeaker, developed an all-electric phonograph incorporating loudspeaker amplification. A demonstration was arranged for the largest phonograph company, Victor Corporation, but they were not interested. Victor’s main competitor, Columbia, also turned them down. As Jensen and company continued to refine their player, however, they purchased large quantities of records from the Sonora Phonograph Distributorship Company, which attracted the attention of its president, Frank Steers. Steers saw the potential of the electric phonograph and arranged a merger between Sonora and Commercial Wireless to manufacture the device. On July 6, 1917, the combined company incorporated under the name Magnavox. At the time, PA systems remained an integral part of the company’s business, but according to the AES article AT&T came to dominate this market in the 1920s, so Magnavox shifted its primary focus to phonographs and radio. According to Malone, the company moved its headquarters to Emeryville, California, in 1927, and then consolidated its various facilities in Fort Wayne, Indiana, in 1930. According to an oral history with former Mangavox employee Arthur Stern, the Great Depression nearly killed the company, which barely avoided bankruptcy in the late 1930s, but the onset of World War II and lucrative military contracts for electronic equipment saved it. After the war, Magnavox entered the television business, and it remained a major player in the field in the early 1970s, when Ralph Baer and Lou Etlinger approached the firm to license the first home video game system. According to Baer’s book, in July 1969, Bill Enders, recently relocated from RCA to Magnavox, returned to Nashua for a personal demonstration of the Brown Box. Still impressed with the technology, he began heavily lobbying his superiors to license the product. This campaign culminated in a demonstration of the technology at Magnavox headquarters in Fort Wayne on July 17, 1969, for Gerry Martin, the VP of the Magnavox Console Products Planning Division. Martin was immediately taken with the technology, though it would take him months of lobbying with Magnavox corporate before he was finally authorized to negotiate a deal in March 1970. Nearly a year of negotiations followed, culminating in a preliminary licensing agreement between Sanders and Magnavox in January 1971. With a license agreement in place, further development of the Brown Box — known within Magnavox by the product designation 1TL200 — shifted from Baer’s lab at Sanders to a team of Magnavox engineers in Fort Wayne led by George Kent. While Baer and Harrison would consult with these engineers from time to time, their active role in the development of the video game was now over. At Magnavox, management placed a great emphasis on reducing the cost of the system as much as possible, ultimately leading to the removal of the chroma circuitry for generating color backgrounds, the golf putting game, and any chance of including the pumping and quiz game functionality that Baer and Harrison had already stripped out of earlier prototypes of the system. They also chose to move away from switches or dials to select games by including a group of plug-in circuit cards instead that would unlock individual games. This last innovation has led some to label the system the first cartridge system, though this comparison is not apt. There was no memory or game code on these cards, which merely complete different circuit paths within the hardware itself to define the rule set for the current game. All of the game information was contained in the dedicated hardware, and inserting a new circuit card was really no different an act from flicking a toggle switch. Initially, the video game project was placed under the control of Bob Wiles, the product manager for color TVs, but it was soon placed in its own product category. The man ultimately responsible for bringing the Odyssey to market was a product manager named Bob Fritsche, a 1966 graduate of Miami University of Ohio with a degree in marketing who joined the Air Force right out of school, mustered out in October 1970 at the rank of captain, and subsequently joined Magnavox. According to court testimony delivered by Fritsche in December 1976 during the case of Magnavox v. Chicago Dynamic Industries and Seeburg Corporation, he started in the purchasing department before becoming the first product planner on the video game system in September 1971. At the time, Magnavox had just begun performing consumer playtest and marketing surveys using prototype hardware of what was now being called “Skill-O-Vision.” The first, conducted in Los Angeles, proved highly successful, so a second survey was scheduled for Grand Rapids, Michigan, to gauge the response in a more technologically conservative part of the country. According to Fritsche, this test proved highly successful as well. Indeed, original market projections had called for an extremely limited production runs of 50,000 units for the first holiday season, but based on the marketing surveys, Fritsche argued that they should build 100,000 units instead. In order to insure Magnavox dealers across the country had sufficient stock to meet market demand, the company decided to release it in only eighteen major markets, one metropolitan area in each of its 18 sales territories nationwide. According to Fritsche, Magnavox unveiled the final version of the system, now dubbed the Magnavox Odyssey — a name whose origin has been lost to time — to its authorized dealers for the first time in May 1972 in Las Vegas. Soon after, the product was formally introduced to the press at an event hosted by Tavern on the Green in New York City (according to Baer, this event occurred on May 22, though he mistakenly calls the restaurant “Bowling Greene”). Over the next few months, Magnavox took the product on the road, hosting shows in roughly 16 cities to allow their dealers and other interested industry parties to familiarize themselves with the product. When exactly the system first went on sale is not known. According to Fritsche, Magnavox started shipping the system in mid September. Frank Cifaldi claims in an article on Gamasutra that the system was available as early as August 28 based on an ad in the Edwardsville Intelligencier, but this add merely invites people to “See Odyssey” and contains no language implying that the system is actually available for purchase. Most likely this was a preview event in anticipation of the product arriving in the next month. The Magnavox Odyssey hit store shelves at a suggested retail price of $99.99, roughly double what Baer had originally planned. The system shipped with 12 games unlocked by six circuit cards, most of which were variations on the ball and paddle and chase games that Baer, Harrison, and Rusch had developed at Sanders. The system remained capable of generating only two player-controlled dots plus one machine controlled dot and a single line of varying height, so all of the game mechanics were based around moving dots around the screen. Each game required a plastic overlay, which would cling to the TV through static electricity to provide background graphics and other game features. Additionally, the system shipped with cards, play money, and dice to provide additional play mechanics. According to an interview with artist Ron Bradford, all of the final game designs — as well as the overlays and packaging materials for the system — were done on a contract basis by his firm, Bradford/Cout Design, which had previously done creative work for Magnavox’s ad agency. Bradford developed the games in conjunction with Steve Lehner at the agency. Table Tennis (Game Card #1): Each player controls a paddle and they knock a ball back and forth across the screen. The only game that does not require an overlay or any other additional elements. Score is not tracked by the game and must be recorded manually. Ski (Game Card #2): A timed racing game. The overlay provides several different paths and includes pictures of obstacles like trees and mountains. The player navigates his dot along the path and takes a penalty defined by the instructions any time he goes off the path and hits an obstacle. Players must keep track of their own time using a clock or stopwatch. Simon Says (Game Card #2): A three-player variation on the classic children’s game. The overlay depicts a boy and a girl, each of which is claimed by one player. The third player draws from a deck of 28 “simon says cards” that each depict a part of the body. Each time a card is drawn, the players must move their spots to the proper body part on their person. Whoever gets there first wins the card. If there is a tie, the card is returned to the bottom of the deck. Players only move if the card drawer uses the phrase “simon says.” If they move when the phrase is not used, they have to return a card to the deck. The player with the most cards at the end wins. Tennis (Game Card #3): Plays essentially the same as the Table Tennis game except there is an overlay on the screen depicting a tennis court and service must follow the rules of tennis (i.e. in order for a serve to be “good” it must land in the other player’s “service box”). Analogic (Game Card #3): An arithmetic game presented with the conceit that it takes place in a “numeric maze of a computer-charted galaxy.” The overlay consists of a grid in which each square has a number. Players start on opposite ends of the screen on “Planet Odd” and “Planet Even.” The former player can only move to a square containing an odd number, while the latter player can only move to a square containing an even number. After the first turn, a player may move to any square containing a number that corresponds to the sum of the other player’s last move and any other number so long as the sum results in an odd number for the Planet Odd player or an even number for the Planet Even player. The first player to reach the opposing player’s planet wins. Hockey (Game Card #3): Again like Table Tennis except the overlay is a hockey rink. A player scores if the dot touches the opponent’s goal on the overlay. Football (Game Card#3 and Game Card #4): Easily the most complicated game. Uses a combination of on-screen maneuvering, dice, and “play cards” to simulate a game of football. The kickoff as well as passing and punting plays use the ball spot and are done with Card #3. Running plays use only the two player spots and are executed with Card #4. Full rules can be viewed at a page hosted by the University of Waterloo that is dedicated to the Odyssey. Cat and Mouse (Game Card #4): A chase game played on a grid. The mouse must return to the square designated as his “house” without being caught by the cat. The players get a varying number of points depending on where the mouse is caught. Haunted House (Game Card #4): Another chase game with a haunted house overlay. One player is a “detective,” while the other is a “ghost.” The overlay contains “clue” spaces that the detective must traverse in the order determined by a deck of clue cards, but if he passes over a window on his way to a clue, he forfeits the card. At the beginning of the game, the ghost also picks a clue space to place his ghost. When the detective approaches that space, the ghost player hits the reset button to reveal his spot. After that point, the detective must avoid making the ghost spot disappear or he forfeits half his clue cards. Submarine (Game Card #5): A target shooting game played with an overlay showing various shipping lanes. One player navigates his spot along the lanes. The other player uses the reset button to launch the machine-controlled dot, which represents a torpedo. The players take turns in the roles, and whoever sinks more ships wins. Rouelette (Game Card #6): A game of chance played with a roulette wheel overlay. Bets are placed using chips and a number board that come with the system. After bets are placed, a player randomly turns the control dials and then presses reset to launch the ball on the roulette wheel. States (Game Card #6): An educational game played with an overlay of the United States and a deck of fifty cards — one per state — with trivia questions about that state. Players use the controller to select a state and answer questions to gain control of cards. The player with the most cards at the end wins. Fun Zoo (Game Card #2): A racing game for three players using an overlay of a zoo. The zookeeper draws an animal from a deck of cards, and the other two players see who can reach it first. Baseball (Game Card #3): Like Football, this is a complicated game that uses a combination of cards, dice, and tokens. The players on each side have some basic statistics determined by rolling dice. Full rules can be viewed on the Internet Archive. Invasion (Game Card #4, Game Card #5, and Game Card #6): Another complicated game in which strategic moves are made on a separate game board and tactical combat is resolved on the screen. Different kinds of assaults require different circuit cards. Full instructions at the Internet Archive. Wipeout (Game Card #5): A racing game using both a track overlay and a game board. Player laps are completed by maneuvering a dot around the screen. The second player dot and the machine-controlled dot serve as a primitive timer, with the machine dot moving across the screen and then bouncing back when it hits the second player dot, which remains in a fixed position. Laps are tracked on the game board. Players take turns racing, and the first to pass the finish line on the board wins. Volleyball (Game Card #7): A ball-and-paddle variant with a volleyball court overlay. The players must use the English control to arc the ball over the net. Handball (Game Card #8): Another ball-and-paddle variant with a handball court overlay. Both players are on the same side of the screen and hit the ball to the white line, which acts as a wall. Prehitoric Safari (Game Card #9): The overlay features ten different targets. One player lines up the dot on a target, which the other player tries to hit with a single shot. Each player takes fifteen shots, and the one with the most hits wins. A variant gives different point values for different targets. Dogfight! (Game Card #9): The overlay features a flight path. One player maneuvers the dot along the path, while the other attempts to shoot it. Shootout! (Game Card #9): The player-controlled spot is an outlaw that must traverse a set path through a western town overlay, pausing at each window long enough to give the other player a chance to shoot him. Shooting Gallery (Game Card #10): The overlay contains several rows of standard shooting gallery targets. The player-controlled spots are placed at either end of the first row of targets, and the machine-controlled spot then moves back and forth between them as the player tries to shoot it. After ten passes, the sequence is repeated with the next row of targets. Whoever has the most hits after taking shots at every row of targets wins. One final game created for the system was held back and given out free to players that mailed in a survey card packaged with the system. This game, called Percepts, used Game Card #2 and is another racing game in which the overlay contains squares with patterns and symbols on the them. The players must race to the proper square when a card containing that pattern or symbol is drawn. The Odyssey initially launched in 25 markets in September 1972, seven more than originally planned. According to Fritsche’s testimony, Magnavox expended considerable effort to increase production capacity and build additional systems based on the favorable feedback gathered during the marketing surveys. Rather than making these systems available to retailers generally, distribution was restricted to the Magnavox network of dealers that sold the company’s products exclusively. According to Fritsche, this decision was made by a senior marketing VP who felt that since the Odyssey would be the world’s first video game system, it would draw customers to Magnavox dealers and therefore present an opportunity to sell them a full range of Magnavox products. Indeed, while the suggested retail price of the system was $99.99, when purchased in conjunction with a Magnavox television set, the price fell to just $50.00. According to Baer, the launch of Odyssey was supported by a national advertising campaign featuring glossy sales flyers, in-store displays, and national television and radio ads. A video available at the Pong Story website also shows that the Odyssey was demonstrated on the popular game show What’s My Line? in 1972. Baer claims that the television commercials featured Frank Sinatra, but no video has surfaced of a Sinatra-led advertisement. In fact, the only ad that has been discovered, which was on the air by early 1973 at the latest, only features two adults playing several of the games available for the system. The September 29, 1973 edition of Billboard, however, reported that Magnavox had just negotiated a deal to sponsor a Sinatra television special to promote its consumer products line. I believe that in this case, Baer is confusing this television special and the associated ad campaigns with Magnavox’s 1972 advertising campaign and that there were no Sinatra-led commercials for the system at launch. According to Baer, Magnavox ultimately produced 140,100 Odyssey systems in the first year, far more than the originally projected 50,000. Don Emry, an assistant product planner that joined the Odyssey team in Janaury 1973 after working on the technical documentation for the system the previous year, stated in an interview with the Digital Press that he believes most of the numbers Baer reported are a little high, and he recalls the original production run being closer to 120,000. Either way, according to Fritsche’s testimony, Magnavox only sold 69,000 units in the first holiday season (he initially says 89,000, but corrects himself during cross-examination), and Emry remembers the warehouse was still full of systems in early 1973. Why did the system sell so poorly in the first season? While impossible to say for certain, a number of factors have been identified. Baer believes price was a major factor, as $100, equivalent to $569 today, represented a significant investment in a new and unproven technology that offered relatively limited game play. He also points to the limited distribution to Magnavox dealers as a factor, and Fritsche relates in his court testimony that he would have liked broader distribution but was overruled by marketing. Baer also claims that Magnavox dealers were not properly trained in pushing the additional cartridges, which often remained under the counter unsold. Baer further believes that Magnavox’s television ads confused customers into thinking the system only worked on a Magnavox television set, but the 1973 ad clearly states that the game will work with any television regardless of brand. Its possible that an earlier ad in 1972 resulted in confusion and led to a revised ad being aired early the next year, but since no other Odyssey ads from the period have surfaced, this cannot be verified. Even if Baer is wrong on this point, however, the system was only purchasable from Magnavox dealers as part of a marketing strategy to sell Magnavox TV sets, so even if the ads were not ambiguous, many consumers may well have been left with the impression that the system only worked on Mangavox TVs when they saw it at retail. In his interview with Digital Press, Emry states that he does not believe Magnavox had an official policy of implying exclusivity, but he concedes its possible that certain dealers could have marketed the system that way to benefit their own business. Don Emry also points out that sales were actually in line with the original Magnavox projections, so the relatively poor performance of Odyssey in 1972 may have more to do with an over-excited marketing department ordering the production of more systems than the market could actually bear. Brain Wave (Game Card #3): A complicated strategy game using cards and dice. Full rules at the Internet Archive. W.I.N. (Game Card #4): Players must highlight letters, numbers, and symbols displayed on the overlay with their spot to fill out their “Win card” to win the game. The player actually renders his dot invisible by touching the other dot on the screen and then has to guess where to move the dot before hitting the reset button to make it appear again. Basketball (Game Card #8): Another ball-and-paddle variant played using a basketball court overlay. Interplanetary Voyage (Game Card #12): Unlike other variants, the spot in this game has momentum, so it will continue to move after the player stops turning his dial. The goal is to complete missions by guiding the spot to planets on the overlay based on instructions contained on mission cards. The player has only so many “rocket blasts” to reach the planet. As reported in the September 22, 1973, of Billboard Magazine, Magnavox decided to stage a massive promotion of its 1974 consumer products line in late 1973 through an unprecedented $9 million advertising campaign highlighted by a sponsored television special featuring Frank Sinatra. According to Billboard, all of Magnavox’s products benefited from the campaign, and according to Fritsche, sales of Odyssey reached 129,000 for the year (Note: Baer reports 150,000 for the year, but his numbers always appear to be high based on the recollections of others. Interestingly, in 1975, Mechanix Illustrated stated Magnavox sold only 90,000 systems in 1974. Magnavox did release the system in several European countries, so its possible that the 90,000 figure represents domestic sales, and the other 40,000 were sold overseas). According to Baer, Magnavox discontinued the original Odyssey after 1975 and sold roughly 350,000 total systems. Mechanix Illustrated states that Magnavox planned to sell 100,000 systems in 1975, yet Fritsche, who left Magnavox in the middle of 1975, states that the company planned to sell 210,000 systems that year and was close to reaching that goal already when he left the company. If his figures are accurate, Magnavox may have sold as many as 500,000 Odyssey systems (NOTE: The context of the testimony implies that these were projected sales of the original Odyssey only. However, Magnavox did release the Odyssey 100 and Odyssey 200 in 1975 as well, so its possible this projection includes sales of these two systems, which would explain why it is abnormally high compared to other estimates. Fritsche left the company before Magnavox began selling its newer systems, so it’s also possible that Magnavox cut its targets after he left, perhaps due to retailers cutting orders of the old system when they realized the new system would be a bigger hit.). Either way, these represent fairly modest sales for a product on the market for four holiday seasons. So can the system be considered a success? Baer certainly thinks so, calling it successful on the strength of its sales alone, though he doubts it did much to help Mangnavox’s bottom line when factoring in production and advertising costs and the processing of roughly 40,000 product returns. Both Bob Fritsche and Don Emry reported that the system was well received by the public, though Emry notes that the overproduction of the system hampered the ability of the Odyssey team to expand the product line. Historical works tend to take a more negative view. Kent considers it a failure, but he reports wildly inaccurate sales figures of only 100,000 units over the life of the console. Phoenix author Leonard Herman also declares it a failure, while Harold Goldberg cites Baer’s sales and costs estimates in All Your Base Our Belong to Us to conclude that the system did not perform well. In the end, the Magnavox Odyssey cannot really be considered a success. Though it remained on the market for three years, sales remained modest, and Magnavox provided little support to the product team. No new games were created after 1973, and according to Emry plans for both a cheaper version of the console with fewer games and a four-player variant had to be shelved when Magnavox declined to expand the product line. Baer, too, noticed a lack of interest on the company’s part to improve the system: when he took it upon himself to create an add-on that would add sound to Odyssey games, it was turned down. The console also failed to spur a larger adoption of video games in the home. According to Pong Story, two consoles that largely cloned the Odyssey were manufactured in Europe, the Overkal in Spain in 1973 and the Kanal 34 in Sweden in 1975, while a clone called the Telematch appeared in Argentina, but these systems were produced only in extremely limited quantities. No other company attempted to enter the home market until 1974, and home videos games did not really take off until 1975. This boom resulted from better technology and the popularity of arcade games rather than any success on the part of Magnavox with the Odyssey. Still, the Odyssey remains an important milestone for being the first designed and patented device that met the original technical definition of a video game, that is an interactive game played through use of a video signal transmitted to a television, as well as being the first video game system released for the home. It also played a crucial role in the evolution of the video game industry greatly out of proportion to its commercial success after Nolan Bushnell and his cohorts at Syzygy Engineering built on Ralph Baer’s concepts to create the first video game to take the United States by storm: Pong. In the late 1960s, a bright young engineering student named Nolan Bushnell attended college at the University of Utah, home of one of the finest computer science programs in the United States. At Utah, Bushnell became fascinated with computers, learned how to program, and created a few of his own primitive games on the mainframes at the University. 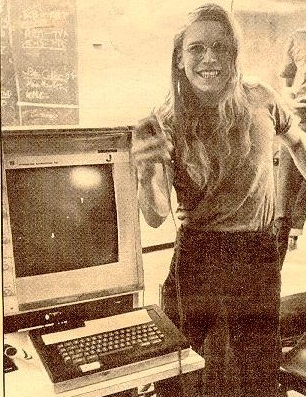 He also became enamored with Spacewar!, which the computer science students at the school were constantly playing. After blowing his entire college tuition fund in a high stakes poker game, Bushnell took a job at a local amusement park, where he was soon placed in charge of the coin-operated games. Bushnell realized right away that Spacewar! would make a perfect arcade game, but computers were simply too expensive at the time. Fast forward to California, 1969, when Bushnell learns about the new minicomputers out in the world. Bushnell initially believes this technology will now be cheap enough to recreate the game as a commercial product, but this proves not to be the case. He therefore decides to do the game entirely through hard-wired logic, using integrated circuits to build a system dedicated solely to playing the game. He enlists the help of a fellow engineer to build the power supply and monitor interface and other analog components while he creates the core of the game in his daughter’s bedroom. Released through a local company in 1971 as Computer Space, the game does poorly because the controls are too complicated. Bushnell realizes that he requires a simple concept to introduce video games, so he and a partner chip in $250 each to found a company called Atari and build that simple game idea, a table tennis game called Pong. Pong takes the world by storm as video games quickly displace pinball and all other forms of arcade amusement to launch a new industry. The above makes for a good story. Unfortunately, much of it is simply not true. Now I want to be clear on one point: Nolan Bushnell was a visionary. He saw the future of interactive entertainment before practically anyone else and was the first person to create a successful company based solely around video games. Indeed, while an interactive entertainment industry would have formed eventually without his intervention, it is probably fair to say — as Bushnell himself has claimed — that without his insight, it would have developed several years later and in a very different manner (yes, Magnavox released the Odyssey in 1972 independent of Bushnell, but that system had its own problems and console gaming did not take root until several years later after advances in large-scale integration). For demonstrating that a company could thrive solely through creating video games and for choosing to manufacture and market his own products rather than licensing them to a pinball, television, toy, or consumer electronics company, he deserves the title “father of the video game industry” and stands as one of the true titans in the field. Unfortunately, Mr. Bushnell’s role in the creation of Atari, Computer Space, and Pong, has oft times been exaggerated, while there have also been attempts to alter the timeline of certain events to give Atari primacy over other companies and individuals working on similar technology in parallel. Over time, Bushnell has more readily credited those individuals who helped build Atari’s earliest games and has done much to set the record straight on many aspects of the company’s history, but some questionable material still remains in these accounts. Furthermore, as our understanding of the history has changed over the years, not every publication has kept up with new revelations, meaning that books and articles continue to be written today that parrot outdated and inaccurate information that should have long since disappeared. As with any undertaking that relies primarily on the memories of the individuals involved — most of the documents that could shed light on the period from 1965-1972 having long since vanished — the full truth may never really be known, but in this blog post and those that follow I hope to construct as accurate a picture as possible of the early life and influences of Nolan Bushnell, the birth of Atari, the launch of Pong, and the first halting steps into a new interactive entertainment industry. Nolan K. Bushnell was born on February 5, 1943. In a fitting twist considering how many facts surrounding Mr. Bushnell have become confused over the years, not even his place of birth is properly recorded. Most sources state that he was born in Clearfield, Utah, the hometown of his parents Clarence and Delma, but the birth announcement in the February 14, 1943, edition of the Ogden Standard clearly shows that he was actually born in nearby Ogden. Nolan became interested in science and electronics at an early age, crediting this interest in several interviews — including Robert Slater’s book of profiles on computer industry pioneers, Portraits in Silicon — to a third grade science assignment in which he had to teach a unit on electricity to the rest of the class. According to a profile by David Sheff in his book Game Over, Bushnell was also a dreamer from a young age, immersing himself in science fiction and imagining life on far off worlds. According to Sheff, Bushnell remembers building a mockup of a spaceship panel out of an orange crate when he was around six years old. Both Sheff and Steven Kent in his Ultimate History of Video Games paint a portrait of a restless, creative young man of boundless energy and enthusiasm, a view readily supported by testimony from friends and co-workers over the years and indeed still evident when talking to him today. Sheff describes both Nolan’s electronics exploits — becoming a HAM radio operator at a young age — and his fondness for practical jokes — once staging a prank in which he drove up to a group of friends wearing a ski mask and fired two blank shotgun shells at one of them, who smashed some ketchup packets against his chest and pretended to be shot. He often combined these two interests as well, as both Sheff and Kent recount an incident where he attached a hundred-watt light bulb to a large kite and convinced the neighbors a UFO was hovering over Clearfield. In an interview with the Tech Museum of Innovation, Bushnell described his interest in rocketry and his time spent in a block house in his backyard building ignition systems. According to this interview, he once nearly set the family garage on fire when a liquid-fuel rocket mounted on a roller skate crashed into it. Thankfully, while the fuel canister cracked, the fuel was so volatile that it ignited in a flash and did no lasting damage. Clearly, Nolan Bushnell knew how to have fun as a boy, but he also knew how to work. Born to Mormon parents — though he ultimately left their religion behind — he was raised on the importance of family and hard work. As Bushnell recounted to Sheff, in the summer of 1958 Clarence Bushnell, who worked as a cement contractor, died, and fifteen-year-old Nolan finished his father’s outstanding jobs himself. In speaking to Kent, Bushnell credited this experience with instilling a belief that he could do any task he set himself to. As he recounted in one of several depositions he gave during patent litigation with Magnavox, Bushnell also held a job with a local business called Barlow Furniture throughout high school in which he did appliance delivery and appliance and TV repair. He continued this job into his early college years as well. As Bushnell’s early career has come under some scrutiny in recent years, some authors have come to doubt Bushnell’s claims that he was a TV repairman. The main source for this doubt is the recollections of Ted Dabney, co-founder of Atari, who believes this claim improbable based on his observations of Bushnell’s engineering skills and the difficulty involved in tinkering with 1950s televisions. While I am happy to note Dabney’s objection here, I personally give Bushnell the benefit of the doubt on this issue and am willing to believe he did, in fact, repair TVs and appliances in high school and college. He listed this job as part of his work experience in a sworn deposition given on January 13, 1976, and I can see no discernible advantage to lying about this under oath, as it is not a material fact upon which his defense hinged — unlike his University of Utah Spacewar! claims discussed below. Furthermore, in the same deposition, Bushnell claims he mainly “switched tubes around” and that other people did the “heavy repairing.” Finally, he states himself in the deposition that he was better with appliances than with televisions. Therefore, Dabney’s assessment does not necessarily contradict Bushnell, who never claimed under oath to be doing sophisticated TV repair work. On the other hand, in Gamers at Work Bushnell told Morgan Ramsay that he ran a television repair company as a teenager, while Scott Cohen in his history of Atari, Zap!, states that Bushnell ran a television-appliance-radio repair business. These accounts appear to be embellishments of his work at Barlow, as no independent repair operation is referenced in the 1976 deposition. Recently, Bushnell has also started claiming that he was running a TV repair business from the time he was ten years old (see, for example, his February 2013 interview at the Startup Grind conference), but again this appears to be embellishment. In his deposition, Bushnell does describe how he started by fixing neighborhood TVs before the Barlow job, but he never indicates that he had a business to do so and never indicates such a young, and highly improbable, age. According to his 1976 deposition, Bushnell matriculated to Utah State University in 1961 to study engineering. When speaking to Kent, Bushnell described a paper he wrote during his freshman year in which he argued that a bright person should be able to master — that is be in the 90th percentile — any subject with three years of intensive study. Bushnell claimed that, based on this formulation, his goal was to constantly move from topic to topic, never focusing too long on any one area. This philosophy captures Bushnell perfectly. Growing up, he flitted between science fair projects, debate team, and basketball (having reached his final height of 6’4” by the seventh grade, but according to Cohen never achieving the coordination necessary to do much more than ride the bench) while reading philosophy as a hobby. According to his deposition, after high school Bushnell started at Utah State in engineering, switched to business, transferred to the University of Utah to major in economics in 1965, and finally graduated with an electrical engineering degree with a focus on computer design in December 1968. His entire professional life has been typified by moving from one new idea to the next while rarely sticking with one concept for too long. While this restless energy proved essential to establishing Atari and dreaming up some of the first commercial video games, however, it has also prevented him from effectively managing or sustaining a viable company in the long term. Bushnell has always been better at formulating ideas than at executing them. There is a story about Nolan Bushnell’s college years that goes back at least as far as Zap! in 1984 and has been more recently parroted by Sheff, Kent, and Tristan Donovan in Replay that Nolan Bushnell blew his tuition money in a high stakes poker game, forcing him to take a job at a local amusement park to make ends meet. While it would not surprise me to learn that Bushnell played high stakes poker — his life is full of evidence of both his devout love of games and his penchant for risk taking — I believe this to be another embellishment. In truth, Bushnell worked throughout high school and college. According to his 1976 deposition, in addition to the Barlow Furniture delivery/repair job he worked for Litton Guidance Systems in the summer of 1962, served as a draftsman for a professor in the Utah State industrial engineering department planning irrigation systems in the Fall of 1962 or 1963, and also worked during the school year at Hadley Clothing. Both his deposition and his interview with Ramsay reference an advertising business he ran for a time in college as well. As Bushnell told Slater, he called this business the Campus Company and produced a blotter three times a year that he distributed free to four local universities. Included within was the calendar of events for the university, surrounded by advertising. Bushnell made his money — a claimed $3,000 per issue — by selling the advertising space. With a production cost of only $500, the blotter delivered Bushnell a tidy profit. In Slater’s book, Bushnell states he took the job at the amusement park to occupy his spare hours because he was afraid he would fritter away his earnings from the blotter if he did not have some other activity to keep him occupied. Perhaps he came to this realization due to losing at (or fearing to lose at) poker, but in Slater’s book he emphasizes a fear that he would spend the money, not gamble it away. In short, the sum of the evidence indicates that Bushnell needed to work his way through school regardless of his extracurricular activities and that it is highly unlikely he blew all his money gambling at any point. There is no question, however, that in the Summer of 1963, Nolan Bushnell began working at the Lagoon Amusement Park in Farmingham, Utah. In many interviews, Bushnell has expressed the importance of his years at Lagoon, which have alternately been reported as two years (Cohen) or four years (Steven Bloom’s Video Invaders), but were in fact five years, as Bushnell himself related in his deposition. According to his testimony, Bushnell began his employment on the midway running a “spill the milk” game in which patrons tried to knock over milk bottles with a baseball. He subsequently rotated through several games including the “guess your weight” booth, “shooting waters,” “flip ’em over,” and coin-operated bowling and skee ball lanes. Working full time in the peak summer months and part time during the school year, Bushnell honed his sales skills as a carnival barker enticing visitors to spend their coins on his games. Bushnell has often been described as a natural showman, and he must have done well at this job, because in 1965 he became the manager for the amusement park penny arcade, sharing full profit and loss responsibilities for the division with a man named Steve Hyde while also taking responsibility for the maintenance of the equipment. He also claims in his deposition that he would take discarded arcade equipment off of Lagoon’s hands, repair it, and operate a coin-op route encompassing several University of Utah fraternity houses. He sold this route when he headed west after graduation to secure an engineering job in California. According to a 1982 profile printed in TWA Magazine as well as both Cohen’s and Slater’s books, Bushnell had hoped to work for Disney as an Imagineer — one of those engineers responsible for creating the rides and attractions at Disney theme parks — but the company did not hire fresh graduates. He therefore secured a job at tape recording pioneer Ampex Corporation. Birthplace mixups, poker exploits, and TV repair questions aside, Nolan Bushnell’s early years do not engender controversy. Bushnell’s story gets much more complicated, however, when we approach the question of when and where he discovered the inspiration for Computer Space, the video arcade game he built with Ted Dabney (and which will be covered in more detail in a subsequent post). Now, there is no doubt that Computer Space and, by extension, the entire video arcade game industry was Bushnell’s idea (there was one other video arcade game concept active at roughly the same time, but it never entered mass production). There is also no doubt that Bushnell drew inspiration for the game from Spacewar!, a fact he has readily acknowledged in every interview he has ever given on the subject. Clearly, the combination of Bushnell’s experience as an operator of arcade games combined with his interest in Spacewar! and his entrepreneurial spirit provided the unique mix of ingredients required to introduce interactive entertainment to the general public. All of this has been claimed by Bushnell and his biographers, and rightly so. The problem arises from Bushnell’s claim — originally stated in a November 1973 article in Systems Engineering Today and subsequently parroted by every writer from Cohen to Sheff to Kent to Donovan — that he first saw Spacewar! in the late sixties at the University of Utah. In reality, this appears not to have been the case. The best accounting of Bushnell’s exposure to Spacewar! comes from research collected by Marty Goldberg and Curt Vendel as part of writing their history, Atari, Inc.: Business is Fun. Basically, the question comes down to whether Spacewar! could have been played at the University of Utah between 1965 and 1968. In a blog post on the subject, Goldberg revealed his research, which involved actually contacting the university and working with a graduate student to go through the records of the nascent computer science department. In so doing, Goldberg noted that Utah never had a PDP-1, the original platform for Spacewar!, and that the only two computers theoretically capable of playing the game at the university during the relevant time frame, a PDP-8 and a UNIVAC 1108, were dedicated to highly specific functions and unlikely to be platforms for the game. Furthermore, the 1108 was equipped with a raster rather than a vector display, making it unsuitable for playing Spacewar!, while all evidence collected by Goldberg points to the PDP-8 version of the game being written after 1968. Now, it is true that in his 1976 deposition in the Magnavox lawsuit, Nolan Bushnell did claim under oath that he had played Spacewar! 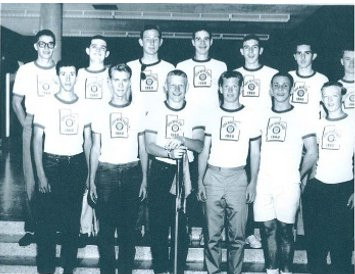 at Utah, believing this to have occurred shortly after he arrived at the University in 1965 when a friend in the chess club invited him over to the computer center. When pressed for details, however, he could not recollect the exact time frame this occurred or even be certain of his friend’s name, first claiming it as Jim Davies and then claiming not to really remember the last name, but fairly certain it started with a “D.” He also could not remember if it was played on an IBM 7094 or a UNIVAC 1108 because Utah changed computers while he was there. This last claim actually demonstrates some familiarity with the Utah computer center, as Goldberg’s research did show that in 1966, Utah upgraded from an IBM 7044 (not 94) to an 1108. Bushnell then goes on to claim that a year or so later he became interested in programming some games and talked to a fraternity brother affiliated with the lab, one Randall Willey, who directed him to a student he could not recall the name of that gave him a printout of the Spacewar! code. When talking to Kent years later, Bushnell claimed that he subsequently programmed a few games — including a fox and geese game in which a player-controlled fox attempted to hunt down computer-controlled geese one by one without getting boxed in by them — but in his deposition he makes it clear that while he did take two computer courses and learned some FORTRAN and Algol, two early programming languages, he ultimately did not program any games at Utah himself. Furthermore, in his 1976 deposition he not only explicitly states that he was not interested in any games being played at Utah other than Spacewar!, but also that the “fox and geese” concept was actually something he recalled seeing at a computer conference circa 1969 as opposed to something he created himself. The closest he comes to claiming any game design at the university in his deposition is purportedly authoring a paper in 1967 outlining how certain game concepts, like baseball, might be implemented on a computer with a display. Once again, however, he was unable to provide any documentation or corroboration for this claim. Why would Bushnell potentially be evasive under oath? Well, in April 1974 Atari was one of several companies sued over patents filed by Ralph Baer on early video game technology. Baer’s work, his patents, and this lawsuit will be discussed in more detail later, but for now its just important to know that Baer’s patents were filed in 1971, so one defense that Atari and other companies attempted to mount was that prior art existed that invalidated these patents. It was therefore important for Bushnell to establish that his own game technology had its roots in the mid 1960s, before Baer built his video game hardware. By placing his own knowledge of Spacewar! around 1965 and claiming to have written down some computer game ideas in 1967, Bushnell accomplishes just that. In addition to Goldberg’s research on the Utah computer center, I find it compelling that in his testimony Bushnell was as vague as possible regarding the people and technologies involved in the game he claimed to play in 1965, and that after the lawyers asked him to find material that could corroborate his assertions, he reported in a follow up deposition on March 2, 1976, (excerpted in Goldberg’s post) that he was unable to locate anyone or anything that could substantiate his story. So when did Nolan Bushnell first see the Spacewar! game? According to my own interview with Bushnell, when he relocated to the San Francisco area, he began attending several go clubs, as he had recently become fascinated by the game in his later years at the University of Utah. At the Stanford University go club, Bushnell met Jim Stein, who worked at the Artificial Intelligence Laboratory. In both our interview and the book High Score, Bushnell recounted how one day in 1969 Stein told him about the cool games available at the lab, where as we saw previously, Spacewar! was an incredibly popular pastime. Bushnell states that he told his friend that he already knew of Spacewar!, but would love to play it again. Note how this recollection so closely mirrors the story in his deposition that a friend with the first name Jim with whom he played chess told him about all the cool games in the Utah computer center. I believe there is a high degree of likelihood that Bushnell took the true story of how he was introduced to the game at Stanford and tweaked it to take place earlier at Utah instead in order to show that his ideas predated those of Ralph Baer. This is the same basic conclusion drawn by Goldberg in his blog post, where as a final piece of evidence he presented an excerpt from a 1973 documentary, filmed before the Systems Engineering Today article and the Magnavox litigation, in which Bushnell claims as his inspiration the computer games played at Stanford and does not mention games at the University of Utah at all. In a later section of the documentary not available in Goldberg’s blog post, the narrator explicitly states that Bushnell first saw Spacewar! at Stanford. In 1969, a bright, enthusiastic engineering graduate from the University of Utah named Nolan Bushnell came to the state of California to work for Ampex Corporation. Possessed of an entrepreneurial spirit and experience working as an operator of arcade games, Bushnell was introduced to the landmark computer game Spacewar! by a friend who worked at the Stanford AI lab, became instantly hooked by the game, and pondered how to turn it into a commercial product. When he saw a sales flyer for the $3,995 Data General Nova, he thought he just might be able to run Spacewar! on a minicomputer hooked up to a brace of monitors and some coin slots and turn a profit. Bushnell therefore recruited some co-workers and took his first steps toward establishing a new industry, one that has grown to be worth over $50 billion today. Thus begins the story of Nolan Bushnell, father of the video game industry.